Prezentare What were all those fairy-tale characters thinking? Jane Yolen and Rebecca Kai Dotlich answer this question in paired poems, with sometimes startling results. The Princess claims all those mattresses kept her awake--not a silly pea--while the poor pea complains that the princess snores. One Snow White begs the witch to settle by the bay and throw that mirror away. Another boldly tells the mirror she "won't be guided by a glass that's so one-sided." 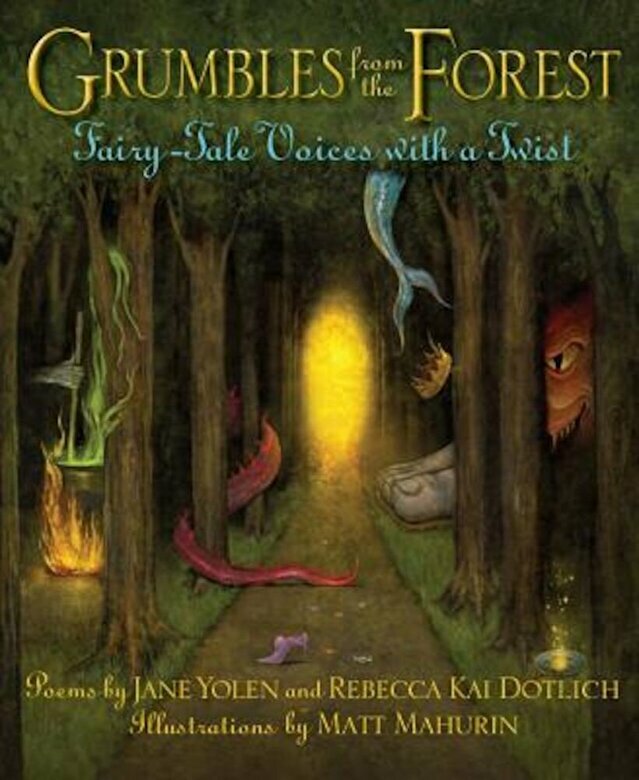 Grumbles from the Forest is a bewitching brew of voices--grumbling, pleading, bragging, reminiscing, confiding--that bubbles with magic and wonder. The spectacular paintings that tie the poems together are full of surprise and intrigue. This stunning collection includes end notes that briefly describe the tales and their history and an introduction that invites readers to imagine their own poems from unusual perspectives.